Our galleries of 19th- and 20th-century European art includes a special presentation of figurative paintings by Pablo Picasso, Francis Bacon, Lucian Freud and Chaïm Soutine on loan from the Lewis Collection. These are shown alongside works from the Gallery’s collection, including ones by Vincent van Gogh, Ernst Ludwig Kirchner and Alberto Giacometti. 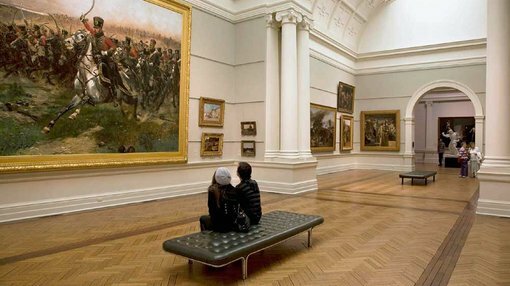 This section of the Gallery is also home to British Victorian paintings and sculptures, many collected from the earliest days of the Gallery.